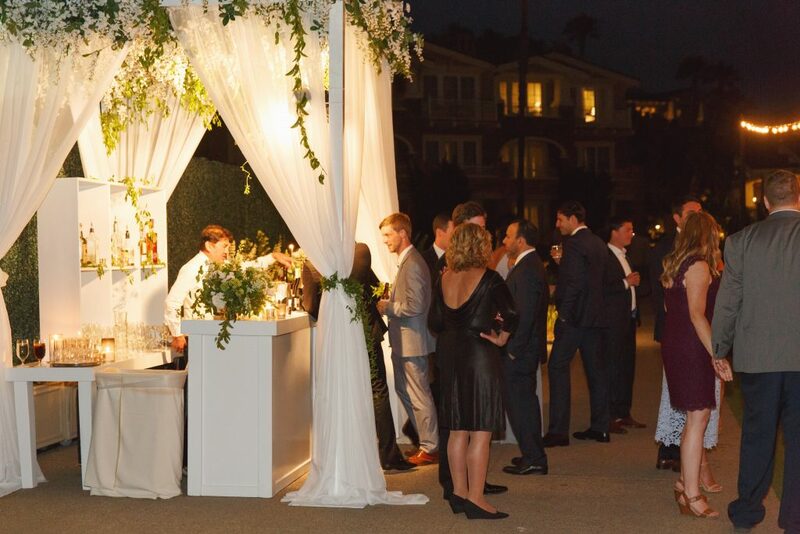 Being invited to design for this event alongside the insanely talented Brooke Keegan and Heather White Sherrill, of Brooke Keegan Events, was more than an honor, it was truly a privilege for us. 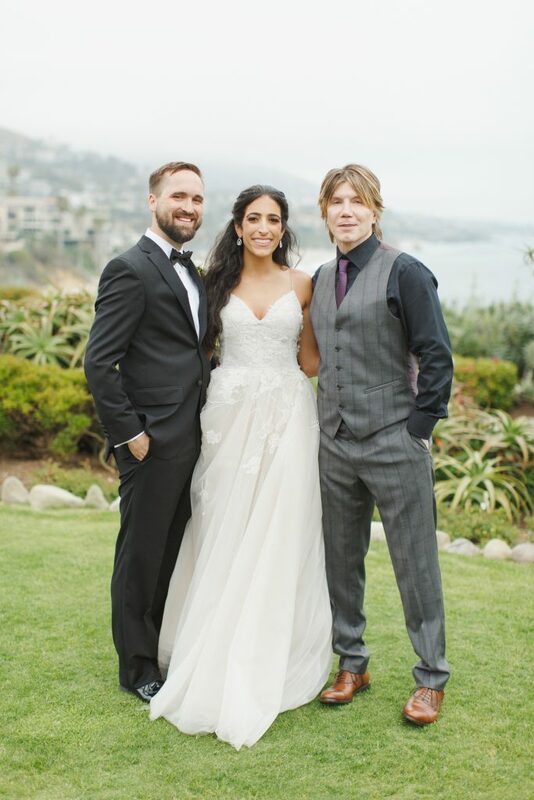 Beyond the fabulousness of gracing the pages of BRIDES Magazine, this event allowed us to work alongside a team of true professionals and we are hugely grateful that we got to be a part of it, did we mention the Goo Goo Dolls performed?! 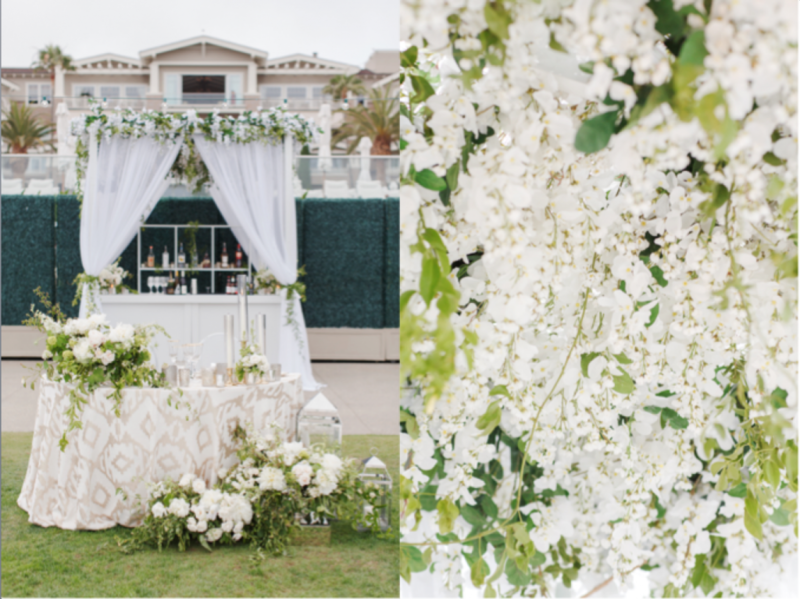 A very big thank you to Brooke Keegan Events for inviting us to design this masterpiece alongside you! 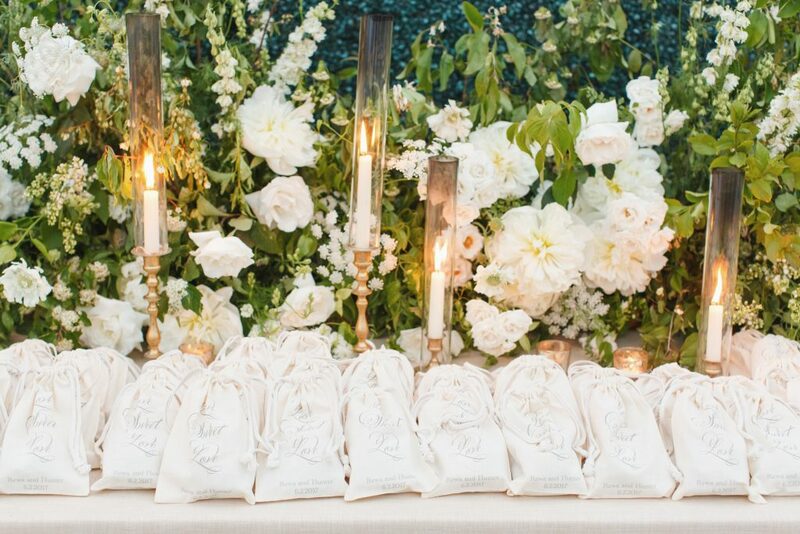 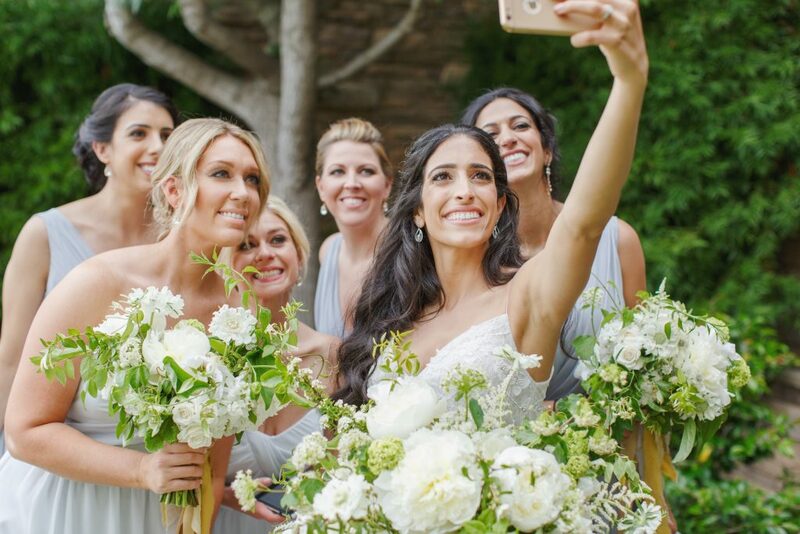 If you haven’t heard of the BRIDES Live giveaway wedding, allow us to briefly explain. 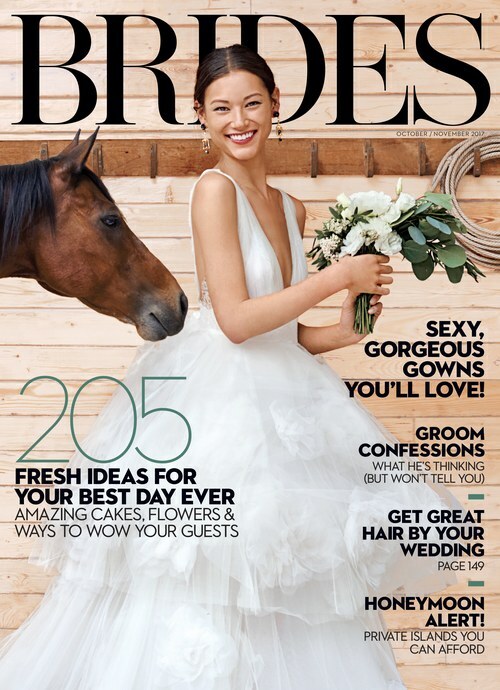 BRIDES magazine gives away a million dollar wedding once a year to a deserving couple that competes for their spot. 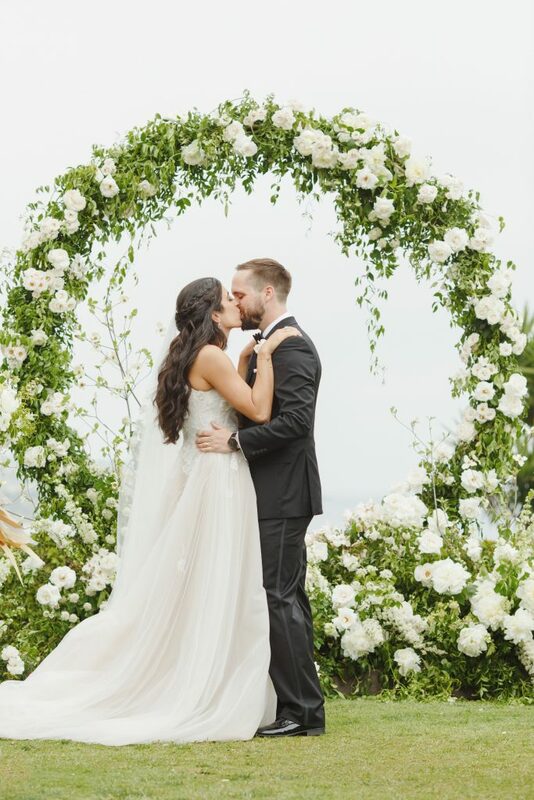 After the public chooses who will win, they then choose the theme, color scheme, dress, hair (you get the idea) for the bride and groom’s big day. 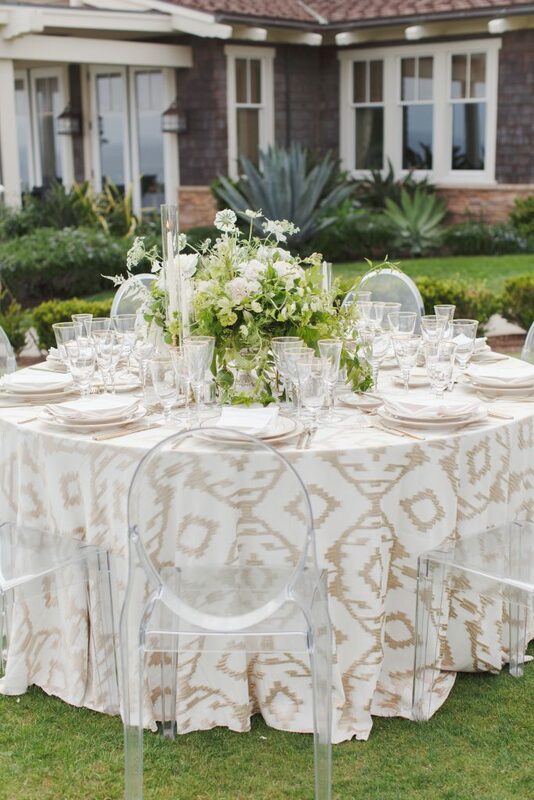 This year, a Mixed Metallics theme won. 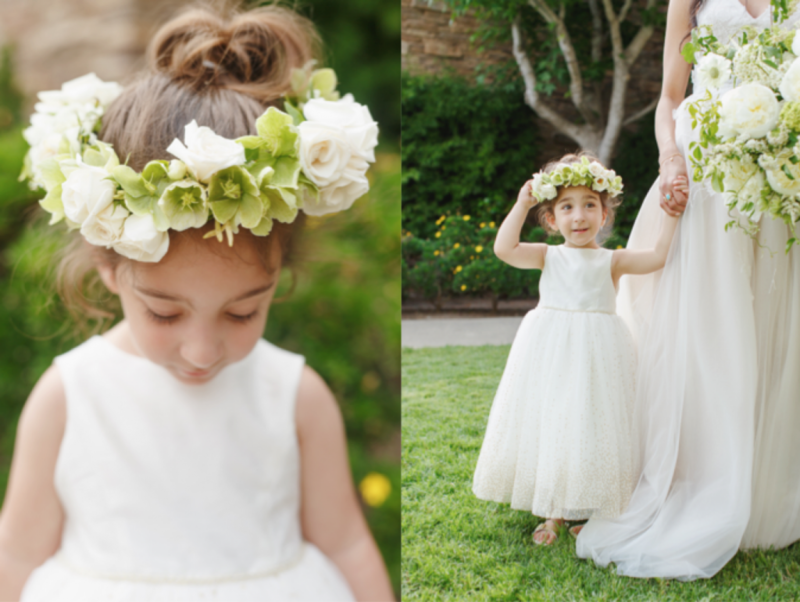 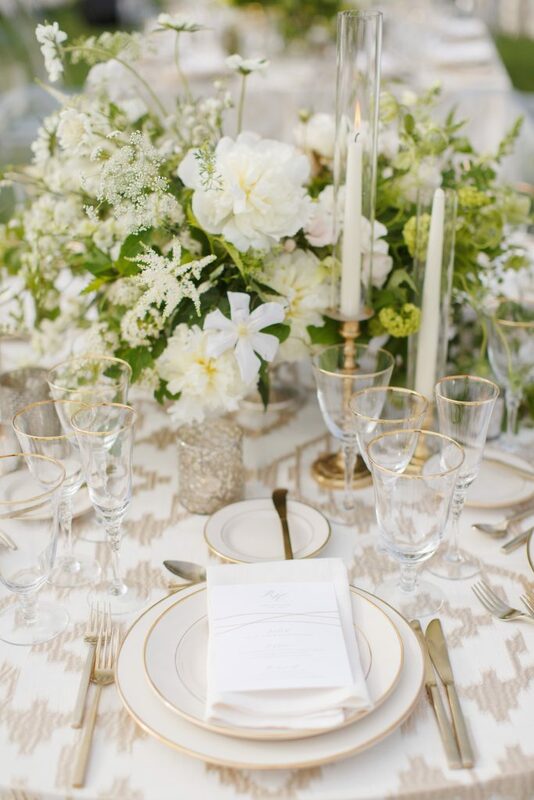 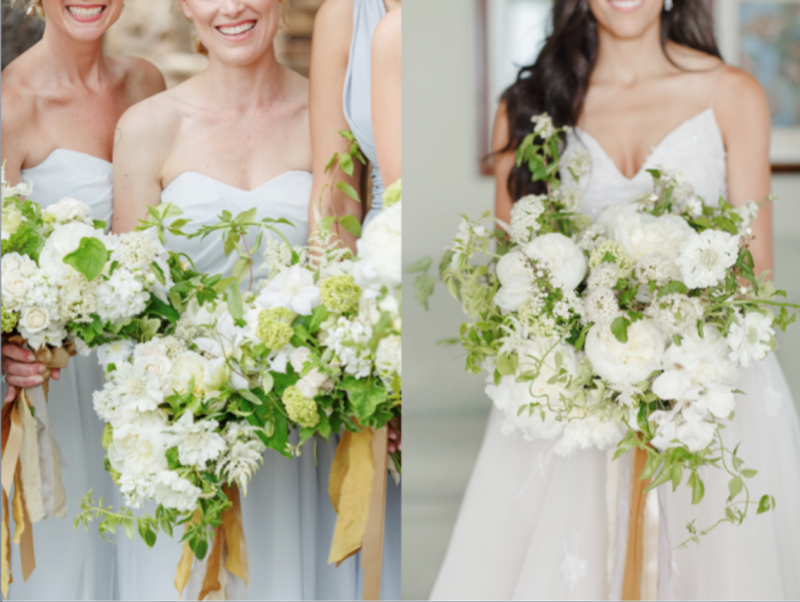 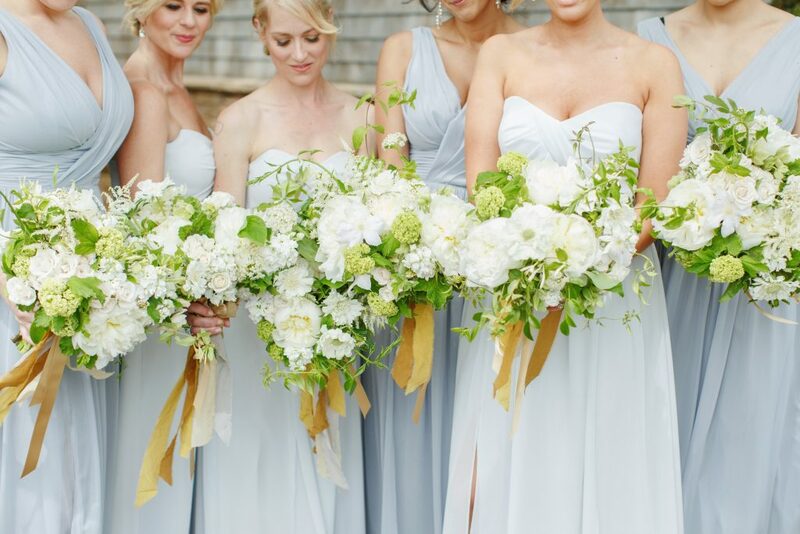 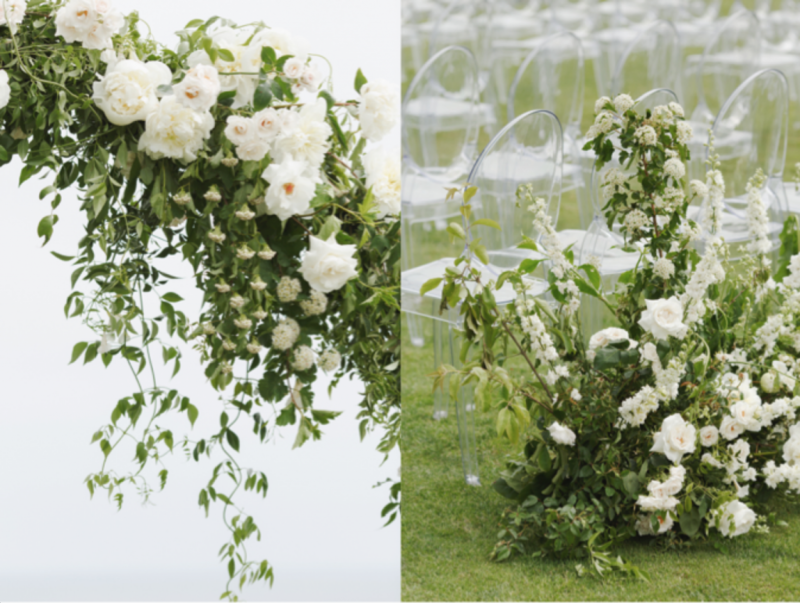 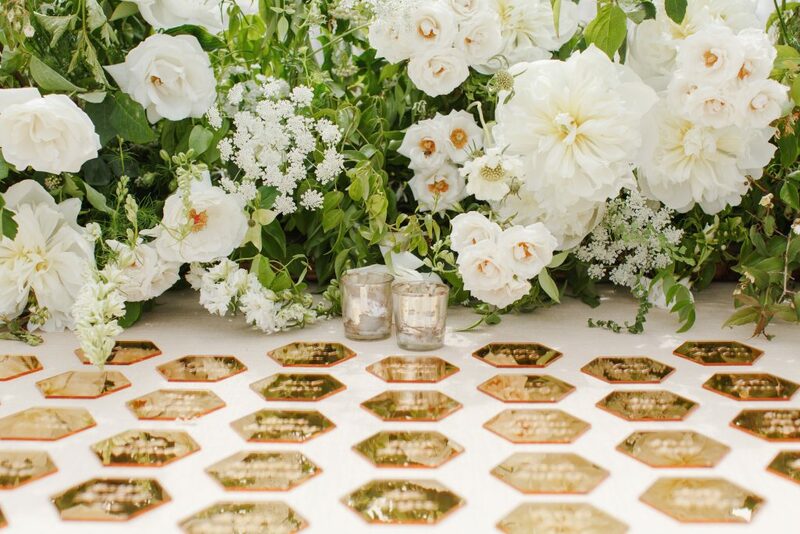 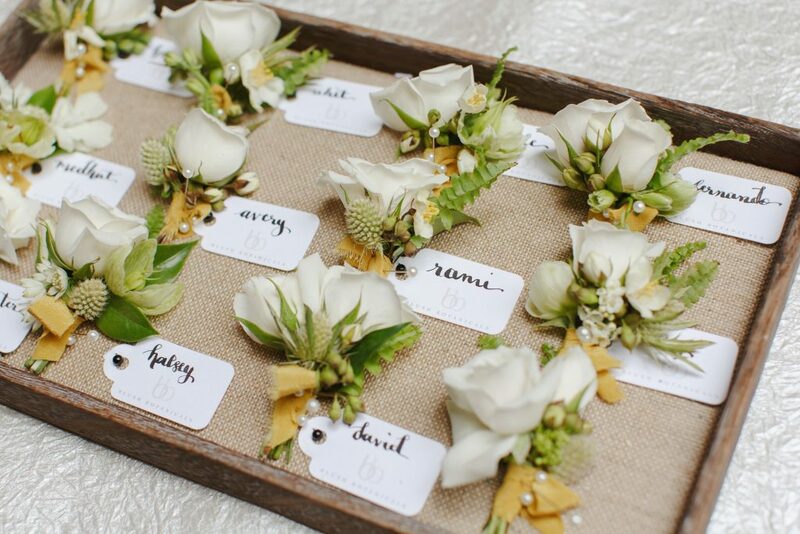 Florals were designed in creamy ivories and whites paired with fresh foliage of mixed tones and textures. 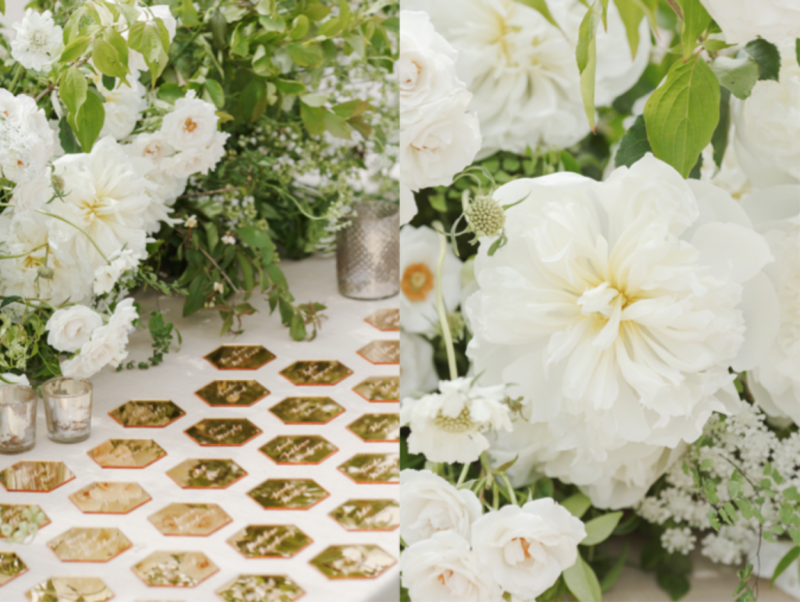 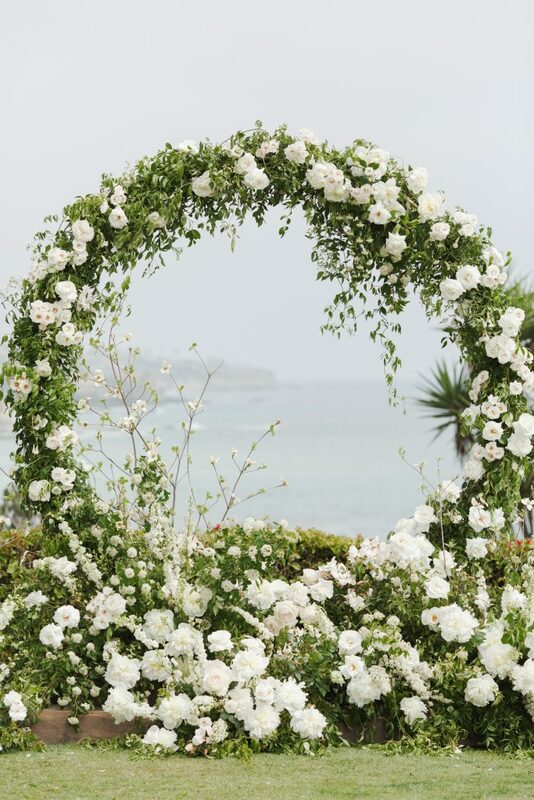 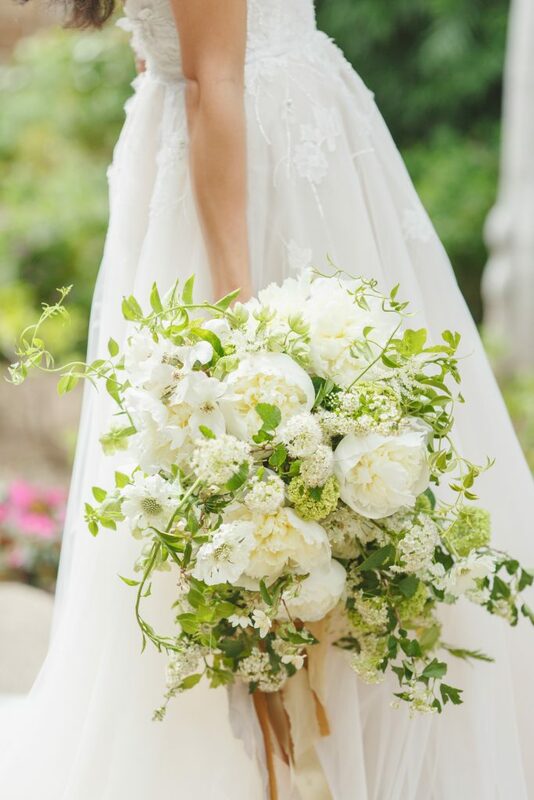 Peonies, jasmine, garden roses, ranunculus, scabiosa flower, viburnum, mock orange and other like elements were used within the florals. 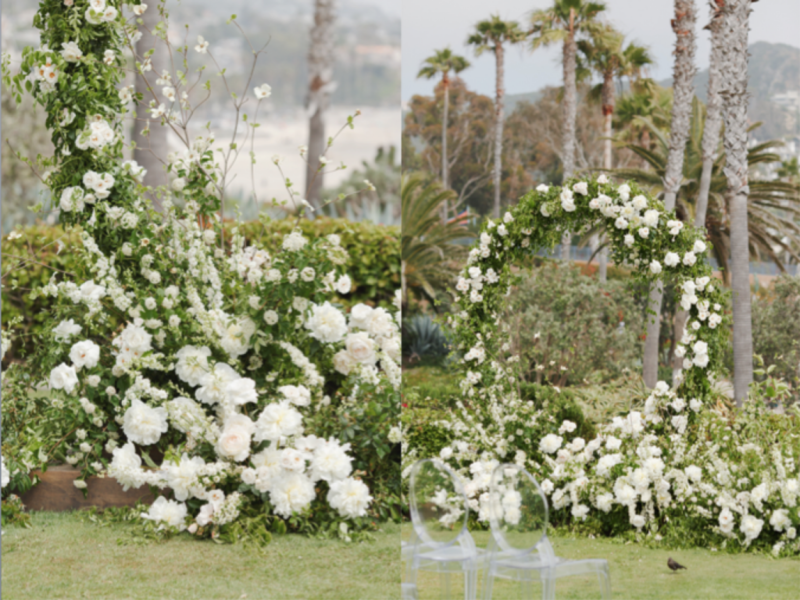 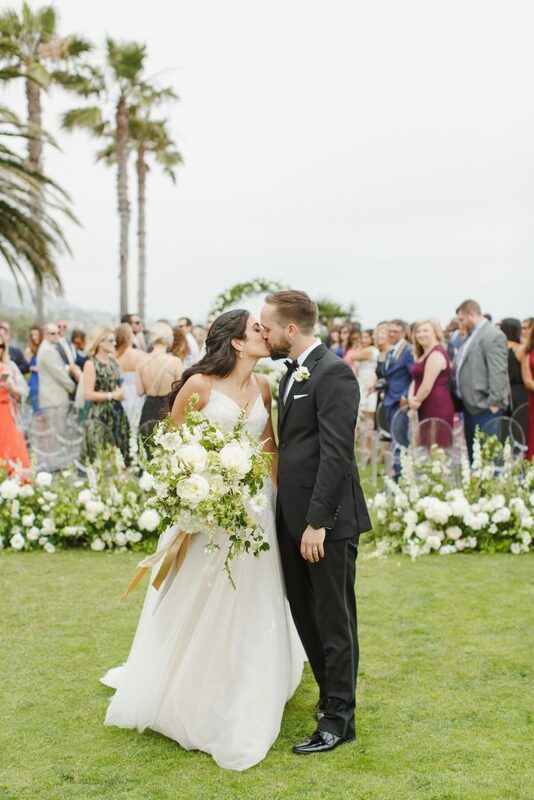 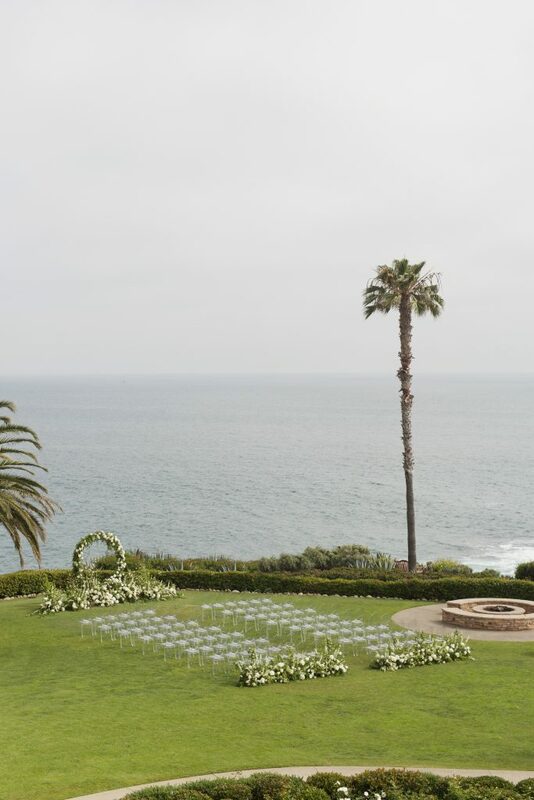 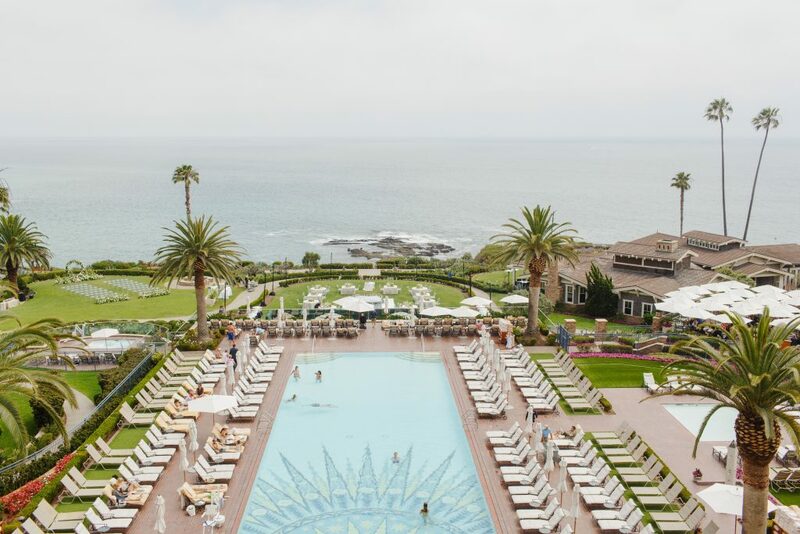 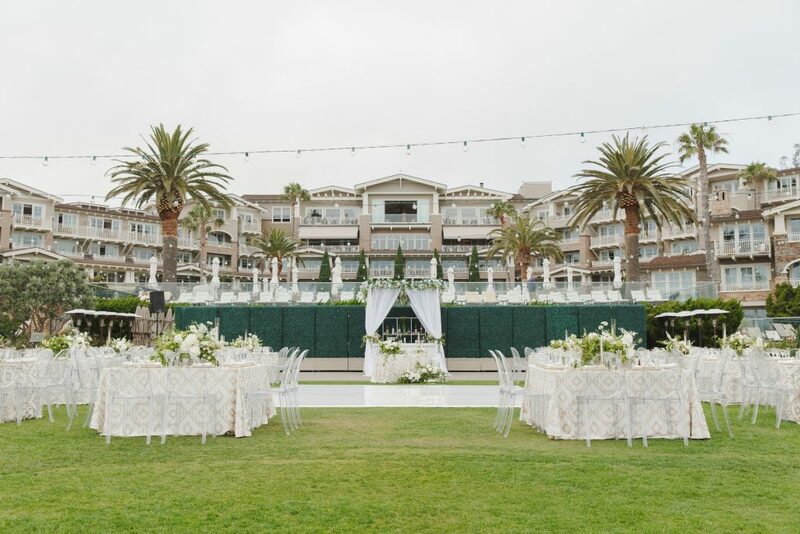 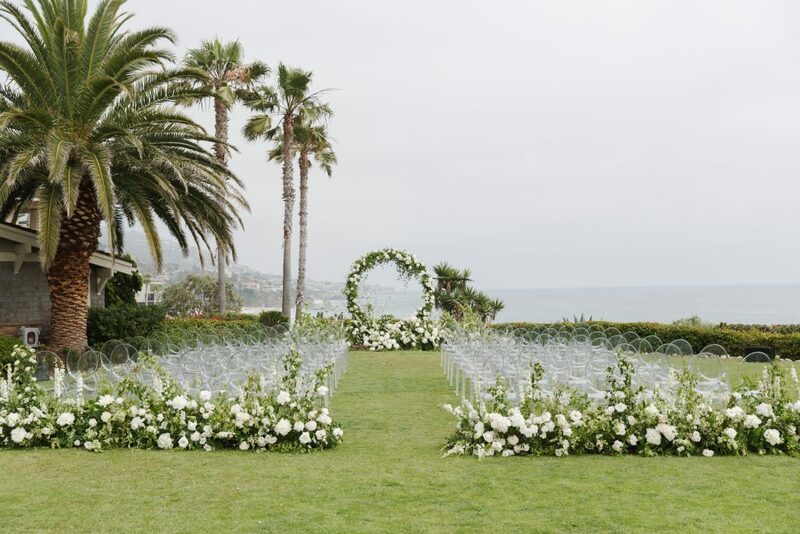 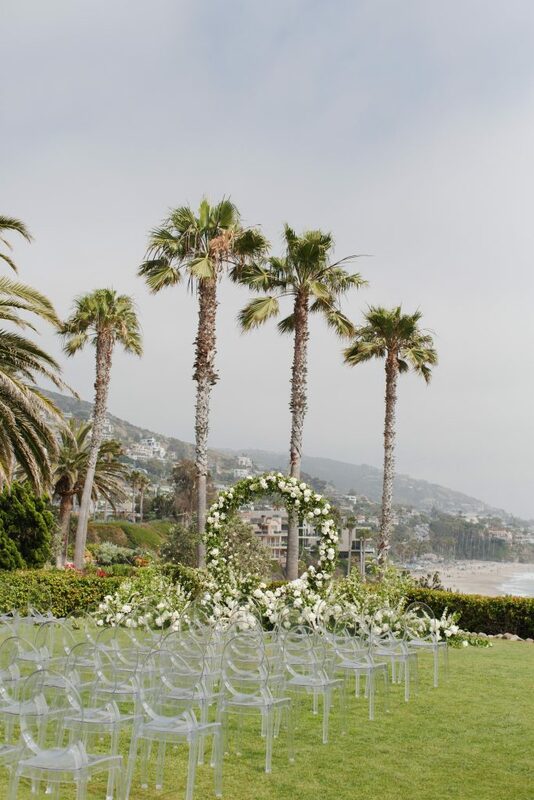 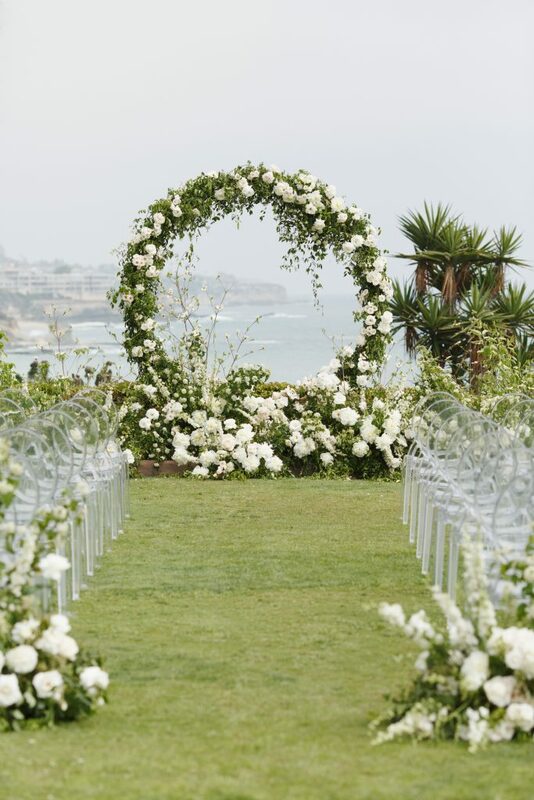 The brides stunning Monique Lhuillier gown paired perfectly with the view-clad backdrop of the gorgeous Montage Laguna Beach. 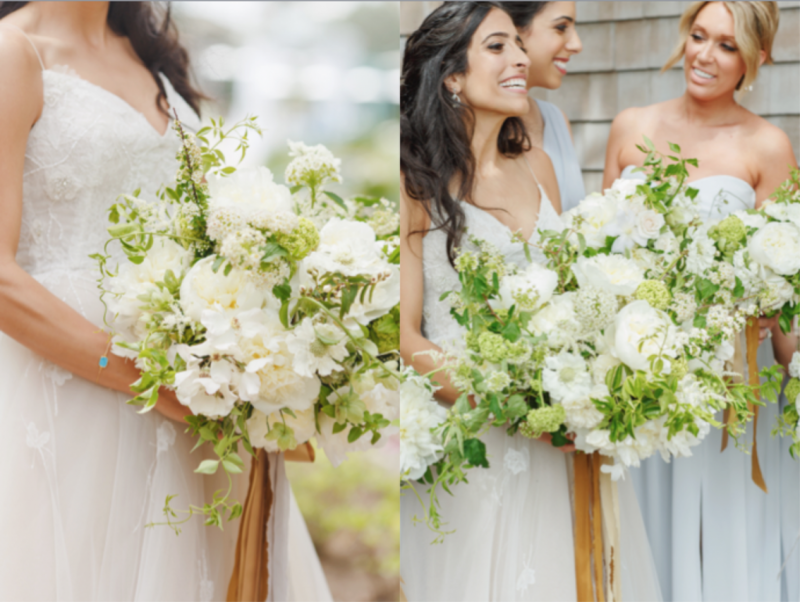 Pick up your copy of the September 2017 issue of BRIDES Magazine to see all of the beautiful details in their printed glory!